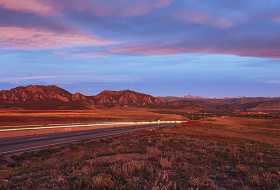 Natural beauty is everywhere you look in Boulder, and early on, locals sought to protect that beauty for all to enjoy. We hope you&apos;ll get out to explore while helping to preserve the beauty for everyone by following these simple reminders. Straying from the designated paths can cause harmful erosion or irreversible damage to vegetation and lower soil quality. So we ask you to take the road most traveled (much to Robert Frost&apos;s dismay). Your #2 is one of our #1 issues. If it’s your pet’s, please pick it up! If it’s your own, practice your cat-hole skills and bury your business 6 to 8 inches. Want to act like a true outdoorsperson? Pack out everything (yes, we mean everything!) that you brought. If you see someone not minding their manners, don’t be scared to start a conversation. 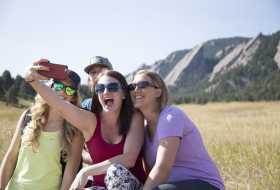 Help out your fellow outdoorswomen and men by politely reminding them why outdoor etiquette is the way to go. Who knows, maybe you’ll find a new buddy! Road degradation, fumes from vehicles and noise pollution all put stress on the local flora and fauna. Instead try to walk, pedal or take public transportation to get from here to there. When there&apos;s an animal in the distance, are you far enough away so you can close one eye and cover the entire creature with your thumb? If not, you’re too close! Keep a safe distance from wildlife to ensure the safety and happiness of both parties. Avoid riding on private ranchlands. Download biking and hiking maps to be sure you’re on a public trail. Those less familiar with the area will follow your example, so make sure that you are setting a positive one! Be kind and courteous to all on the trail, even those who aren’t necessarily minding their manners! Flash those pearly whites and don’t hesitate to start a friendly conversation. Get rid of litter even when it isn’t yours! Trashy areas make for poor pictures and an unhealthy ecosystem. Remember, food trash is litter too. Pack out your fruit peels and eggshells (and don&apos;t give the chipmunks a stomachache). Camping in undesignated area leads to a ripple effect (one person camps there, then thousands camp there). This ruins habitat for native wildlife and destroys precious vegetation. 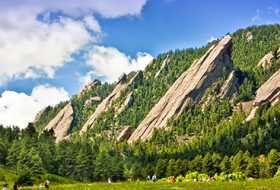 There is no camping allowed in the city of Boulder, but there are some camping options nearby. When left alone, flowers influence the local ecosystem all year-round, but will only last a few days in a vase. Please don’t rob Colorful Colorado of its colors! Many of us head out onto the trail system to find peace and quiet or to listen to the birds chirp and the leaves flutter in the breeze. If you&apos;re going to play music, don&apos;t assume everyone else wants to hear what you&apos;re listening to — kindly use headphones. You can enjoy much of Boulder&apos;s open space with your pup by your side. You probably have questions, like: "Does my dog need to be on a leash?," "Which trails are okay for dogs?" and "What&apos;s the big deal about a little dog poop?" The best place to find answers to these questions and more is on the City of Boulder&apos;s website. Happy trails (and wagging tails)!